Pat Shannon of Bulldawg Tax & Accounting offers a full range of tax and accounting services for individuals and small businesses. He handles bookkeeping needs, payroll processing, tax returns preparation, IRS representation, and QuickBooks setup, training, and support. 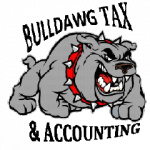 Work For Bulldawg Tax & Accounting? Claim This Page.